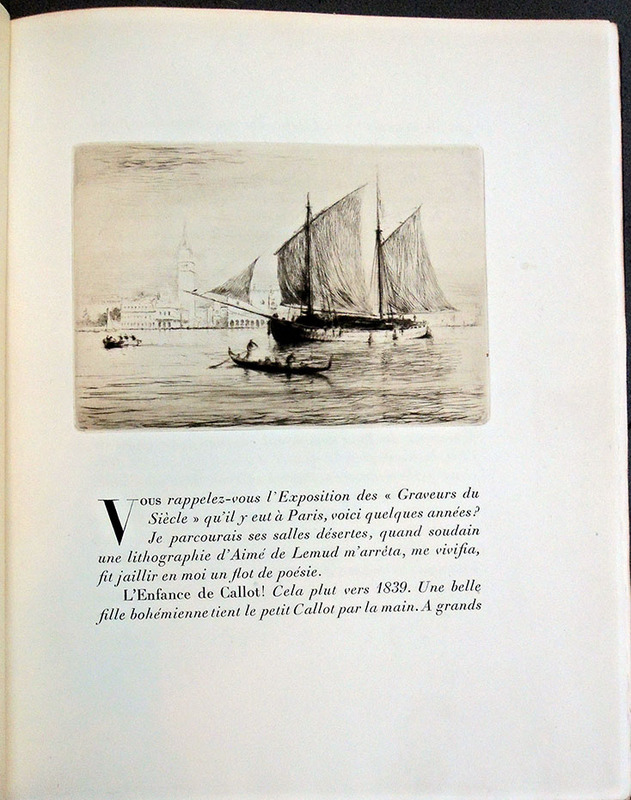 From 1923 to 1931, the fine print publishing house of Maison Devambez established the imprint, Les Éditions d’Art Devambez (also written Ed. d’art Devambez), which produced a series of limited edition, artist illustrated books. 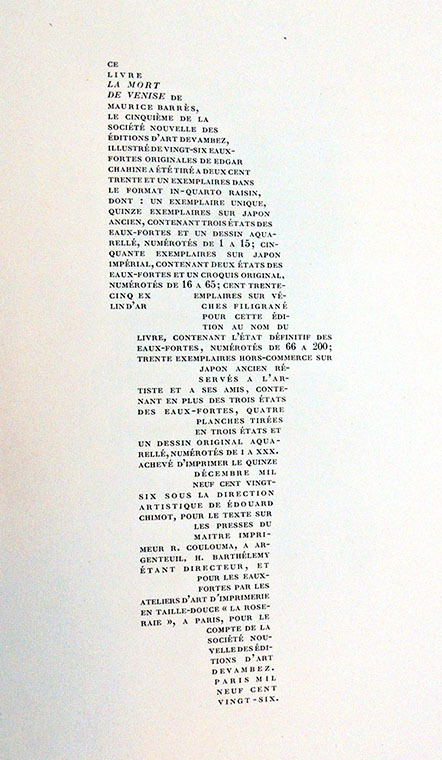 Édouard Chimot (1880-1959) was named artistic director of the imprint that he led with close, personal interaction with his fellow artists, often matching them with texts by nineteenth-century French authors. Most volumes include intaglio prints, with drypoint a particular specialty of their printers. 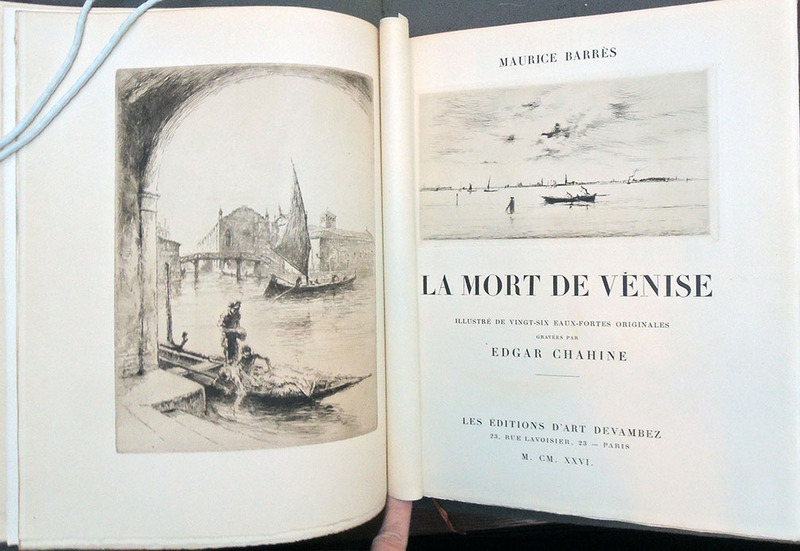 Born in Venice, Edgar Chahine (1874-1947) became a French citizen in 1925 and spent the next few years creating prints as illustration for fine press editions. 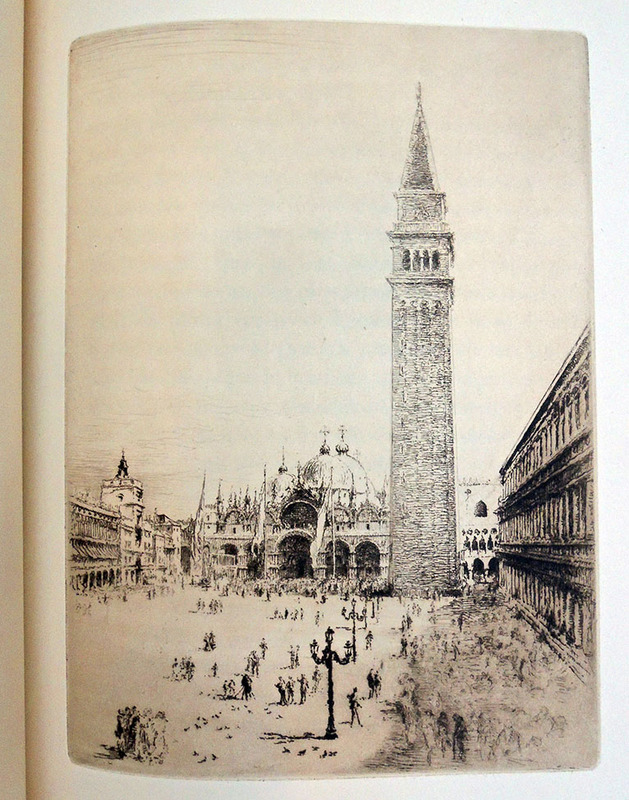 His work on Mort de Venise is of particular interest because his Paris studio was destroyed by fire in 1926, making the prints in this book some of the few surviving impressions from his Venice series (begun in 1906 with Impressions d’Italie). 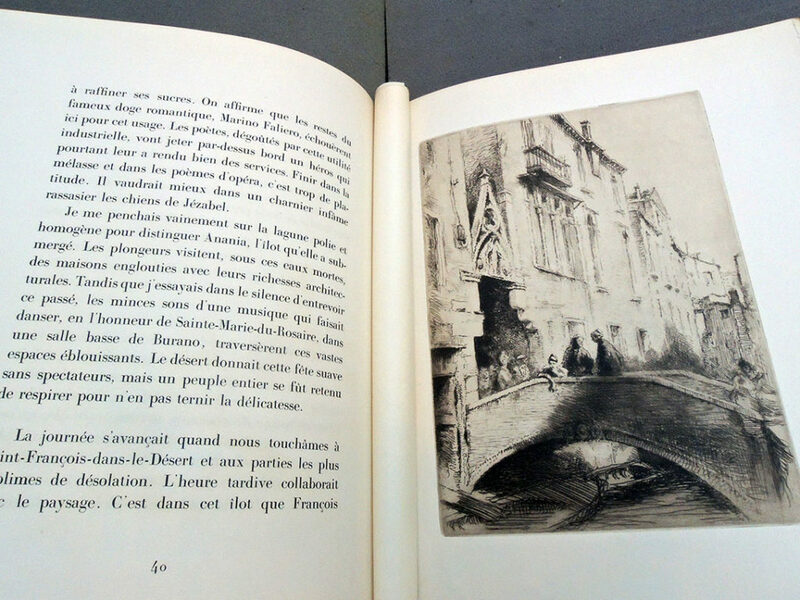 Chahine went on to illustrate books by Paul Verlaine (1844-1896); Anatole France (1824-1924); Collette (1873-1954); Gustave Flaubert (1821-1880); and others. This entry was posted in Acquisitions, prints and drawings on January 18, 2019 by Julie Mellby.